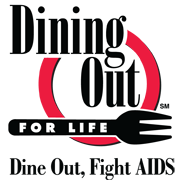 Be part of a meaningful and rewarding movement where thousands of people across 60 cities come-out to dine-out on April 28th, “Dining Out For Life”, a campaign that annually raises $4 million in support of those impacted by HIV/AIDS. Edge Alliance and many other organizations are doing their part here in the Chicago area by connecting more than 12,000 people and 115 community partners with over 80 restaurants in support of our mission of providing quality and affordable housing. Become a restaurant sponsor, volunteer ambassador or just dine out. Engage in our community because compassion never looked so great.